As your Realtor, I will make you my top priority. I don’t just help you buy or sell your house; I listen to your wants and needs and make your goals my mission. I will assure that you are comfortable putting your future in my hands and take as much stress and anxiety out of the process as I possibly can. I will work the necessary hours, be in constant communication, and represent my clients with a high level of professionalism. As my client, you deserve my full commitment, honesty, integrity, loyalty and confidentiality, and as your Realtor, that is my guarantee. I was born and raised in Moscow, Idaho on my family’s farm where I gained a strong work ethic from a very young age. I chose to stay close to home and attend the University of Idaho where I graduated with a degree in business management. During my time in school I worked many positions in the restaurant industry, and in 2012 my husband and I opened our own restaurant and bar which is currently in operation today. When I am not at the office or assisting my clients, my number one priority is my family. I love spending time with my husband and our 2 boys going to sporting events, camping, golfing or anything else that brings us together as a family. As a small-town farm girl and small business owner, I have an extremely strong work ethic and background in customer service that will be put to work for you. 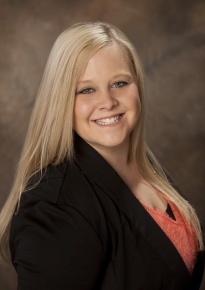 As a University of Idaho graduate with a degree in business management, I have extensive knowledge and skills that will prove to be useful in the representation of my clients. There is no other place I would rather call home. Whether your priority is great dining and shopping, or a quiet, serene place in the mountains North Idaho has your perfect home. The Coeur d’ Alene area is the perfect place to raise a family as well as an ideal spot for the adventurous outdoorsman. As an Idaho native, I love everything this beautiful state has to offer.